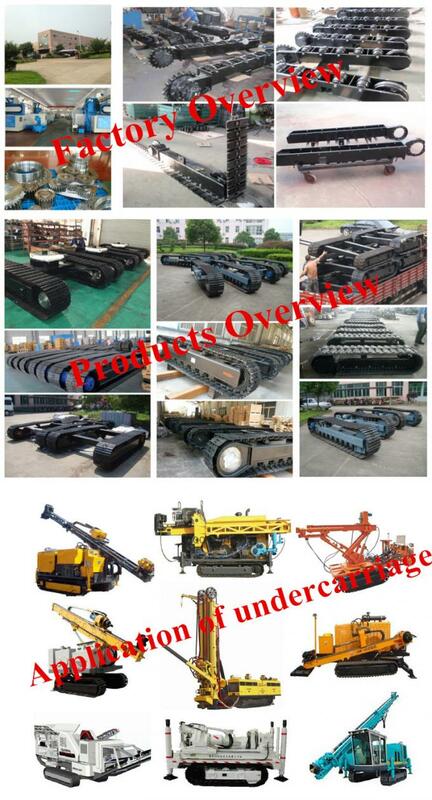 We are an experienced company specialized in manufacturing steel track undercarriage and rubber track undercarriage. 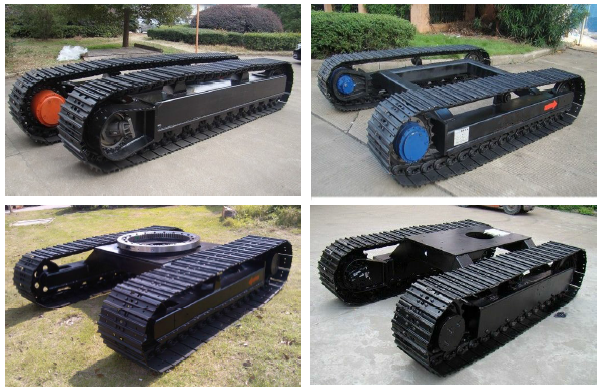 we make custom track systems for your mobility needs, and our track undercarriage can carry up to 50ton,and supporting dual-speed final drive and travel 0-7km/h at grades up to 60%. 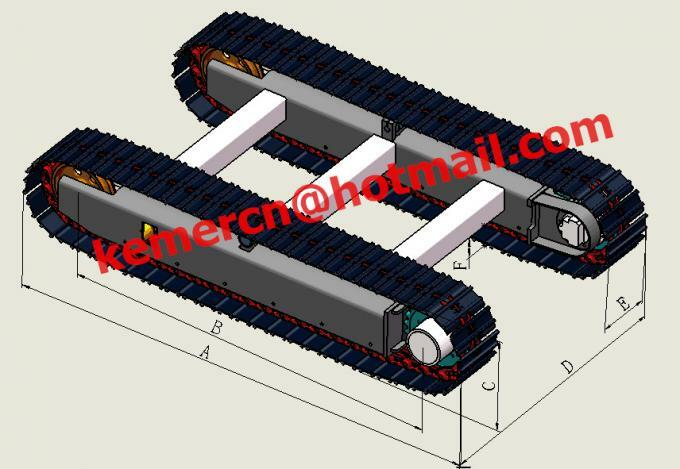 7.Custom built: we can design and manufacture track undercarriage according to your specificdimension requirements. 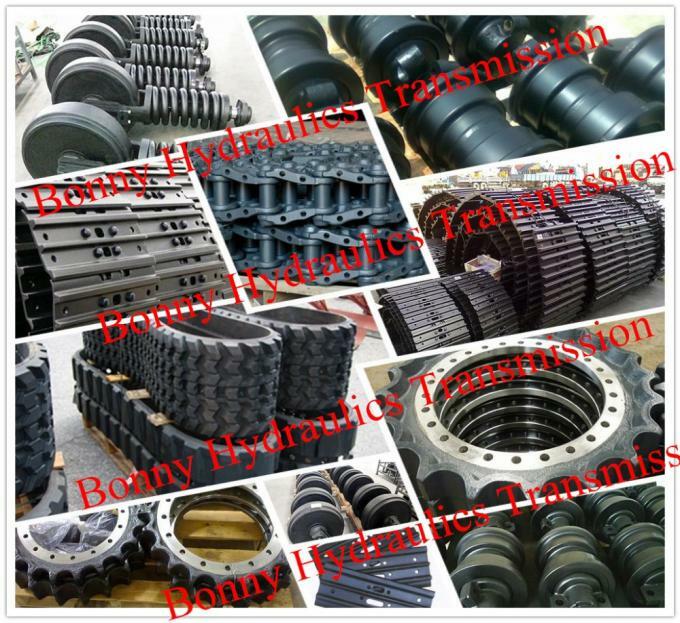 Kemeris an experienced company specialized in manufacturing steel track undercarriage and rubber trackundercarriage. We make custom track systems for your mobility needs, and our track undercarriage cancarry up to 50ton, and supporting dual-speed final drive and travel 0-7km/h at grades up to 100%. Special design catered to customer specifications. With years of experience we can offer the track designflexibility, rapid response and solutions that are always highly effective. 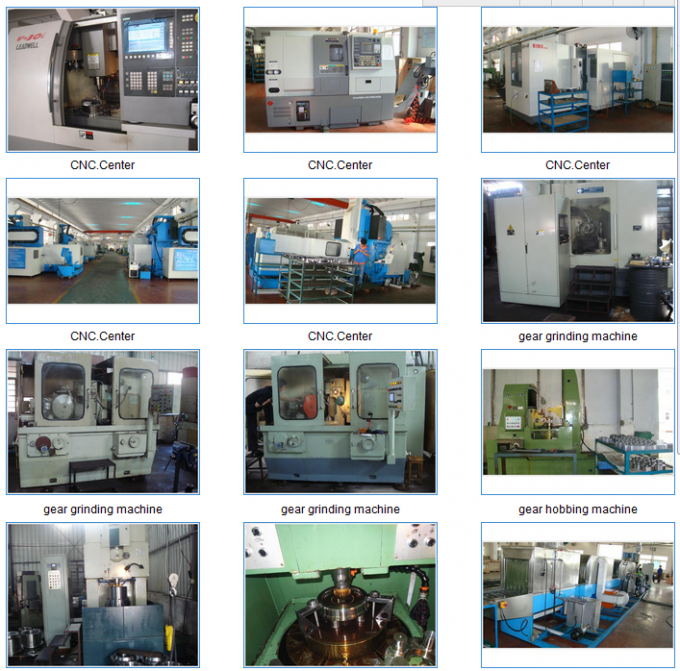 For application on drilling rigs, excavators, crushers, cranes, aerial platform, etc. with high efficiency andadaption of vile working condition. We have many professional engineers devoting to design the track undercarriages to meet differentcustomers' requirements. With our years of experience, we can take your concept from prototype toproduction. We are committed to our goal of exceeding your expectations and requirements for quality,reliability, and on-time delivery. We are the manufacturer with more than 20 years experience engaged in designing and manufacturing of undercarriage. Usually it is 20 days for the production. 3. What's the warranty of your product? We can offer you 12 months quality guarantee period after receipt of product. 4. Can you custom make the product? Yes, all dimensions and specifications can be designed and made based on your requirements. Note: it is the weight of machine excluding the weight of undercarriage.